I know that I have said this many times over in posts, but I truly mean it. 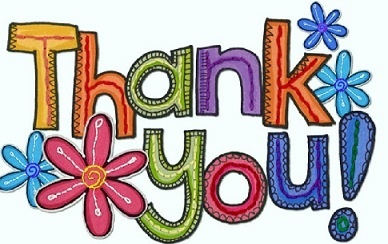 There have been so many new followers in the last three months that I need to take a minute to say “THANK YOU”. This blog started out as a way of promoting my then upcoming book, Allergic to Life. But it has turned in to so much more and I have met and fostered some amazing relationships through it all. Once again, I would like to say thank you to all of you. My follower numbers have been steadily growing. This tells me that there are many who want to hear what I have to say about allergies and chemical sensitivities. It tells me that there are many who are suffering with chronic illness or know someone who is. It also tells me that there are many who are not sick but want to know more about living a less toxic lifestyle. Today I say thank you to all my new followers who have signed on in the last month or two. I appreciate you wanting to learn more of my story and how I have changed my lifestyle. Please feel free to comment whenever you have a question or want to share something on a post topic. I cannot forget all my loyal followers, many of whom have been with me since the beginning of this blog nearly two years ago. Thank you for all your support and your comments and re-blogs of my posts. Have a wonderful day. I look forward to interacting with all of you. Don’t forget, you can also contact me via the contact button at the top of this blog and leave me an email message. 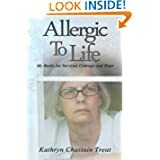 As I work on cleaning my house today, preparing some upcoming blog posts, and working on marketing of Allergic to Life, I would like to take a moment to thank all my new followers for signing up to learn more about my journey, chemical sensitivity, food allergies, mold, and chronic illnesses. For my loyal followers, I would like to say I appreciate all your support this past year and a half. You have been kind, left wonderful and informative comments, and welcomed all the new followers with your insights and compassion. Last week I received an additional award. This award came from doilooksick. I love the logo for this award. After all who doesn’t like fireworks? This is an award for good readership – in other words, a THANK YOU to your loyal readers! While I am grateful for each and every person who chances upon this blog, there a few that I would like to mention in this award. Rule 3: Nominate 14 readers who fit your description! And here they are! I am turning into quite the rule breaker lately because I am going to break or bend the rules slightly here. I have a few followers who have left wonderful comments and supported others who have commented on my blog. These particular followers are not bloggers but have been faithful followers and readers of this blog since the beginning. Because this is a “Readership Award”, in my nominations you will find both bloggers and non-bloggers alike. To all my followers here and those not mentioned, thank you for following along with me on this journey and for your support. I hope that I am all caught up on my award acceptances. Melissa (Melissa is a new follower. I am including Melissa because she is where I was in the beginning – searching for help and answers. I am happy that she has found my blog and hope she continues to comment and share her story. Roxie (Roxie is a high school classmate who recently reconnected with me and follows this blog religiously. Despite our having not seen each other in years, she immediately embraced me and my new differences. She is very supportive of me and this blog.